This 8 hour course will get you up and running. We will explore the sewing machine and how it works, learn basic stitches, basic sewing techniques, and identify notions that you will need. You will come away with the knowledge of how to run a machine and how to get started as well as completing several simple projects. In order to best meet all the student needs, this series will be held at The Sewing Tree studio in Dover. This session will be held on Monday evenings. Owner and operator of The Sewing Tree in Dover, NH. She has been teaching sewing to adults and children for 15 years through her business. The Sewing Tree classes range from very beginning to more advanced techniques and project classes. 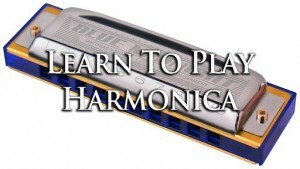 Learn to play a song and master some basic techniques. Harmonica included. Mike has been playing harmonica since the age of fifteen. Years ago he left the seacoast area of Maine, moving to the deep south. This move influenced his love of rural blues. Accompanied by his wife Bev, Mike performs in public schools, retirement centers and public concerts bringing his love of the harmonica to special need students and the general population in for the form of concerts and harmonica workshops. During the International Paralympics in 1996 in Atlanta, GA Mike and Bev were part of the Very Special Arts performances. They also participated in the 1999 International Very Special Arts Conference in Los Angeles, CA representing Maine and Georgia. This introductory course offers instruction on fly-fishing fundamentals such as rod set-up, gear and equipment options, casting theory and drills, knot tying, fish ecology and aquatic insects, fish identification, safety, ethical fishing practices and lots more. From A to Z, you’ll soon be on the water catching fish! All equipment provided; however, if you own your own feel free to bring it. This course includes classroom and 2-field trips. Prerequisites: Ease with keyboard and mouse. Keying speed not required. Introductory class on the following: managing different views and multiple sheets at once; formatting for printing; creating headers and footers; and printing with titles on every page. Nancy has been an instructor for the Dover Adult Learning Center since 2002, delivering both classroom and individual Microsoft Office training. She is endorsed by her students as professional, patient and knowledgeable. In addition to teaching at our facility, she also conducts on-site Microsoft Office trainings for local businesses. For more information on class content, please visit Nancy’s webpage @ http://www.alittleclass.net. If you are a current Microsoft Office user and wish to book some time for a consult on your particular needs, please complete the Contact Us form provided on Nancy's website. Essential oils are powerful. Oils hold powerful chemical constituents that affect the physical, emotional & energetic systems of our bodies. Coupled with the power of our intention we can bring about healing, JOY, release, acceptance & peace. Awaken your senses...let you chakras flourish! When the natural flow of energy in our body becomes blocked or stagnant, we get restless, irritable & sick. Come and learn simple bioenergetics exercises to clear & connect chakras. Use essential oils to promote balance and build resiliency or prana (life force). Mary is a retired N.H. Educator and Counselor. She has her certification in Reiki, Yoga and Eden Energy Medicine Practioner. Most recently all of her classes that she is offering here for Dover Adult were taught at Portsmouth Hospital. 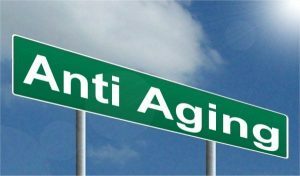 We will discuss all sorts of health-related information and engage in fun and creative activities that inspire sharing wisdom for growing younger. 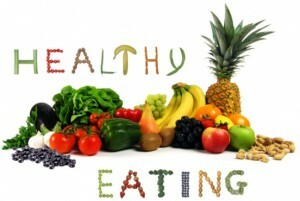 We will discover super foods, and how diet relates to all health problems. Share recipes, uncover keys to longevity, and learn meditation. We will brainstorm the how to’s of simplifying your life, listening to your body, preventing disease, and reframing negative to positive. This workshop will be a fun and creative place for you to let your imagination run free. The instructor will explain the theme, paint a visual picture and allow you to bring what you see to life. 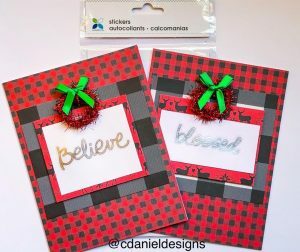 You will make a variety of beautifully designed cards including writing a heartfelt message that can be mailed to friends and family. You will walk away with the skills and ability to create designs in the future. For the past two years Courtney has taught workshops on the Seacoast. She has been invited to do a presentation of thank you cards for the Work Ready NH program in Portsmouth. Her mission is to keep the art of handwritten message alive! 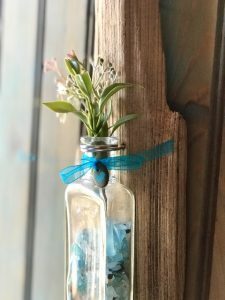 Craft a driftwood sconce with a single stem antique bottle as a vase. You driftwood wall vase will look simply gorgeous with feathers, wild flowers, or a single colorful bloom! This makes a great wedding or birthday gift. Discover the fine art of making fragrant, all natural, vegetable-based soaps in this hands- on workshop. 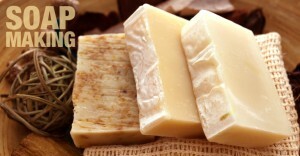 Learn tips, techniques, and recipes for making soothing soaps for healthy skin. Deborah owns and operates Greenleaf Farms in Dover. Greenleaf Farms offers annuals, perennials, flowers for all occasions, farm fresh produce and herbalist. 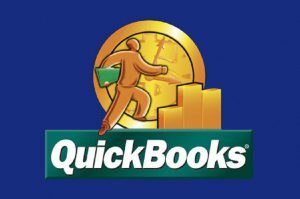 Learn how to setup QuickBooks from the beginning. Chart of Account, Customers (creating invoices, coding, paying invoices, printing checks), Vendors (entering invoices, coding, paying invoices, printing checks), Reconciling Accounts (checking, savings, credit cards) Reports (Profit & Loss, Sales by item list, A/R, A/P aging), plus basic bookkeeping skills. Monica has over 35 years working in administration and bookkeeping roll in various industries as well as a former business owner and real estate broker. She currently is employed as an Office Administrator and their full-charge bookkeeper. Additionally she does freelance bookkeeping and provides QuickBooks tutoring services for the past three years. Digital cameras, smartphones, tablets...there are many ways to take digital photos, but what do you do with them all? In this class you will learn how to use your computer to organize your digital photos and create photo projects. 1) Your digital photos: on your digital camera or smartphone with its USB transfer cable, on camera memory cards, on CD/DVDs, or on an external hard drive or flash drive. Tiffany has lived in the seacoast of New Hampshire all of her life. She has over 15 years of experience in teaching technology, serving as a technology coordinator, trainer, and a computer teacher for several school districts. She enjoys bringing the fun, excitement, and usefulness of technology to her students and colleagues. This course is for those who want to cook healthy or need to for allergies and health concerns. You will learn to cook healthy low fat recipes, gluten free, vegetarian/vegan and dairy free using alternative oils, grains and proteins. Who does not need support when outside? This new collection of recipes you will create includes, Bite Me, Pollen, Sweat, and Take a Hike. You will also take home these recipes and other to create later. Colleen lives locally and enjoys helping people. She has assisted with our former instructor, Kim Cole in make and take classes as well as holding her own. She has taught at Kennebunk Free Library and participates as a vendor at local craft events. Prerequisite: Basic Excel experience with navigation, formulas and functions such as SUM, AVERAGE. Knowledge of relative vs absolute references. Calculate data across worksheets, and assign range names for quick navigation and easy to read formulas; manage long lists with tables, intro to pivot tables. LEARN A LIFESAVING SKILL! You will learn adult, child and infant CPR, how to use an AED and what to do if someone is choking in this American Heart Association Heartsaver CPR/AED course that has been updated for the latest guidelines. Participants who successfully complete the course will earn their Heartsaver CPR/AED certification card which is valid for 2 years. This course involves hands-on skills practice. 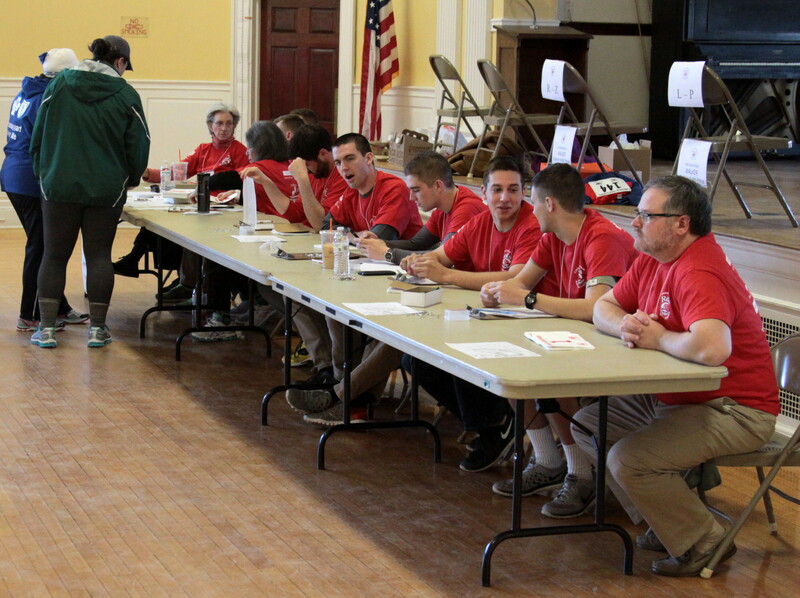 Participants will be sitting, standing and kneeling to learn the lifesaving skills of CPR. Gail has been an American Heart Association BLS Instructor for over 15 years. She is a Training Center Faculty Member and the Community CPR Coordinator for Portsmouth Regional Hospital. She is certified through the American Heart Association, American Safety & Health Institute, American Red Cross and Emergency University. Gail owns and instructs through her local business Coastal CPR & First Aid, where she offer BLS, CPR/AED, First Aid, babysitting and safety courses. Drilled Sea Glass Necklace & Key Chain - This class is full. Please call 603-742-1030 to be put on the wait list. Learn the secrets to drilling glass, stones and shells. Add colorful beads and spirals using our easy wire-wrapped loop techniques to create your own unique jewelry. Use our collection of sea glass, beach stones and shells, or bring your own favorites. 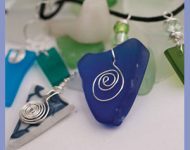 Workshop fee includes all materials to make one pendant and one key chain. Taught by Certified Art Night Out Instructors who are experience artists who provide a relaxed atmosphere, lots of support, and quality materials/tools to ensure a positive experience. Leave class with new skills and an amazing piece you created yourself. Pivot table review; create charts and slicers; learn to use advanced formulas such as IF, VLOOKUP, HLOOKUP. 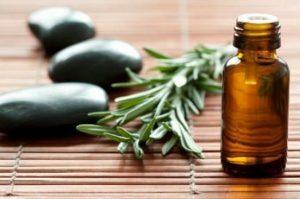 A fun workshop creating essential oil roller ball blends for adults to use with or without foot reflexology points. 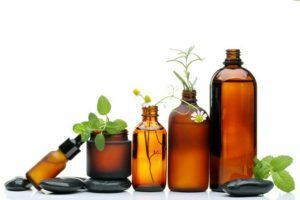 Class will start with brief overview of reflexology and essential oils, then you will create four blends to use at home. Defense, Calm, Throat, and Stomach just to name a few. You will also take the recipes with you! Come make a beautiful, fragrant dried wreath using herbs and dried flowers gathered here at Greenleaf Farms as well as some decorative silks. 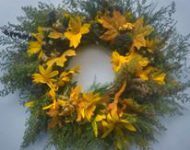 You will create a beautiful fall wreath in this workshop. 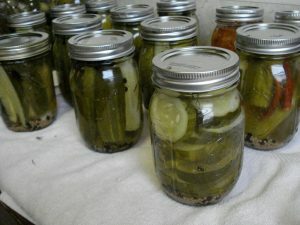 Learn about canning and put fresh bread and butter pickles on your table this year. Please bring a hand towel to class. All materials included. Long hair must be secured. Pam has been canning for family and friends for over 20 years. She has been teaching both waterbath and pressure canning here at Dover Adult for the past 2 years. She is an avid vegetable gardener and a honey bee keeper. Each course will be made and prepared by the class. You will cook, create and then sit and enjoy each course. Italy, Mexico, Spain, Greece, and France inspired. Have you always wanted to gain knowledge about food preservation? Come join us and learn about Pressure Canning, the method used to preserve fruits, vegetables, meats, poultry, fish , and other food items. 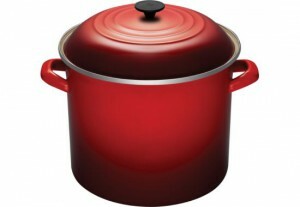 You will also learn its safety, its history and canning tools/utensils. Students will take home a jar of carrots. All materials included. All long hair must be secured. Bring a hand towel to class. Design your own mini collages and turn them into a set of four high quality customized coasters. Utilize our extensive collection of background papers, small photos and found text, or bring you own laser-copied ephemera to create a truly personalized set of coasters. This is a great way to preserve vacation memories, original artwork, or cherished photos of loved ones. NOTE: Each participant will receive their own 1 oz tube of resin and four self-adhesive felt pieces to complete their coasters at home. If using your own images, ONLY laser copies will work in these collages. Coaster size is roughly 3.25” square. Workshop fee includes all materials to make a set of four coasters. 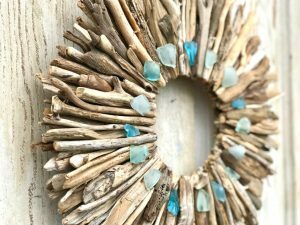 Join in to make a gorgeous 10” driftwood wreath. Perfect for gift giving, or for your own beach inspired home! Prerequisite:Experience with the structure of common functions such as SUM, AVERAGE in Excel. Apply conditional formatting; consolidate data from worksheets or workbooks; Streamline your workflow; trace your formulas; advanced formulas for managing text & extrapolating partial data from a cell. Provide drop-down lists to simplify data entry; intro to macros; keeping formulas safe; using Scenarios and What-If analysis.